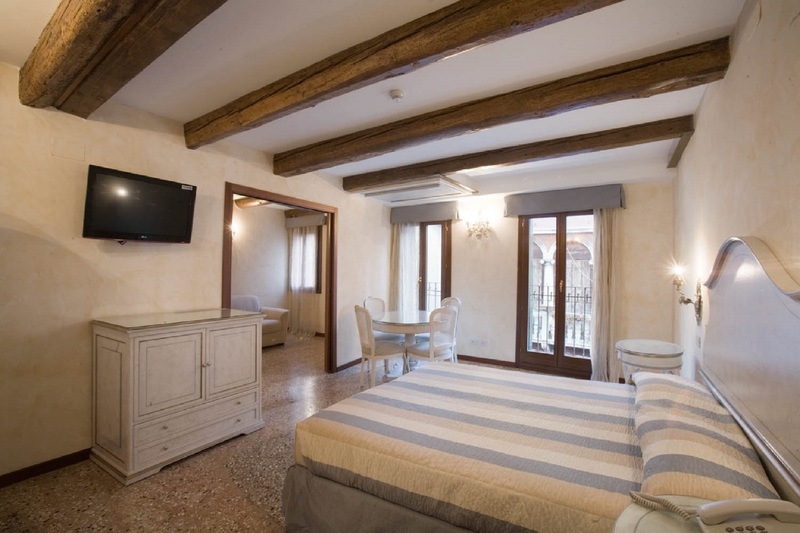 If you are looking for a suite for a fantastic holiday in the center of Venice three-minute walk from Piazza San Marco, your search is finished, stop on this page, stop at the Hotel Mercurio, charming hotel Venice. From your elegant and quiet suite, Venice will be even more unique and unforgettable: enjoy a splendid view on the Canal of Barcaroli one of the main routes for the Gondoliers and their serenades. Facilities in the suites include private bathroom with shower and hairdryer, satellite TV, Wi-Fi, safe, direct telephone and air conditioning. 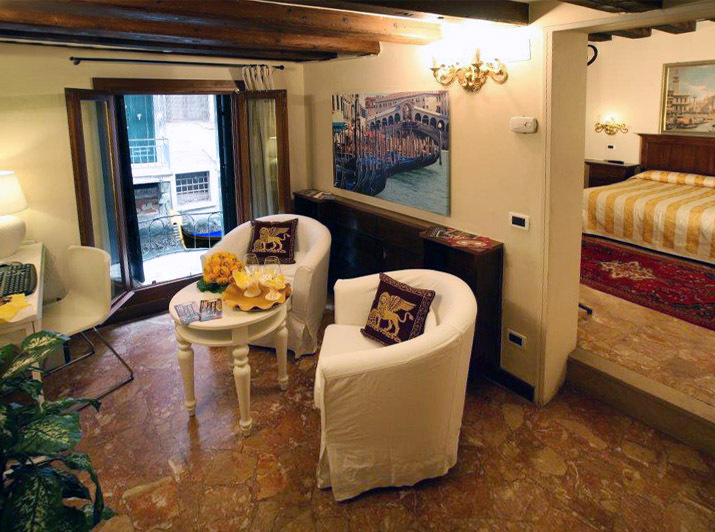 We're waiting for you in our charming hotel Venice.